Here’s a sampling of 30 day finance reports from state legislative campaigns. I used the Back to Blue list as a starting point and added a few races of interest to me from there. – I don’t think I’ve ever seen a greater disparity in amount raised and cash on hand as we see here with Donna Campbell. Campbell, of course, had a runoff to win on July 31, which covers the first month of this filing period, and a cursory perusal of her detailed report shows the vast majority of the action was in July, as you’d expect. I’d still have thought she’d collect more cash after the runoff, since she’s a heavy favorite to win in November. Assuming she does win, we’ll need to check out her January report from 2013. – Overall, the Republicans have done a very good job of raising money to protect their vulnerable incumbents. 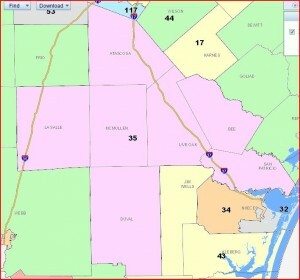 The main exception to this is John Garza in HD117, though he still leads his opponent, Phillip Cortez. The difference between Rs and Ds on amount spent is a lot smaller, which may indicate that their strategy is to do a late blitz, or it may mean they’re just sitting on a lot of cash. – Turncoat Rep. JM Lozano initially filed a report with almost no cash raised and no expenses listed. Apparently, he “forgot” over $250K in contributions. That total includes $100K from Associated Republicans of Texas, almost $68K from Texans for Lawsuit Reform, $25K from Texas Republican Representatives Campaign Fund, $6K from the Texas House Leadership Fund, $15K from Bob Perry, and just for good measure, $2K from Koch Industries. Hey, I’d want to forget about all that, too. Here’s his current corrected report; there may be another to come. – After a somewhat anemic July report, Rep. Sarah Davis kicked into overdrive for this period. Ann Johnson, who has an ad I’ve seen a few times on the Headline News Network, did a pretty good job keeping pace, and still has a cash on hand advantage. I presume Davis has some ads running as well, since she got a $100K in kind contributions from Texans for Lawsuit Reform for TV advertising, but I have not seen any such ads myself. She also collected $100K total from Associated Republicans of Texas ($65K) and Texas Republican Representatives Campaign Fund ($35K), plus $20K from Bob Perry. – Mary Ann Perez had the next most impressive haul after Ann Johnson, showing some very strong numbers for that open swing seat. I presume her strategy is the do a late push as well, given the cash she has on hand. And given the money they’ve sloshed around to so many other candidates, I’m surprised David Pineda hasn’t been the beneficiary of a few wads of dough from the usual suspects. We’ll see what his 8 day report looks like. 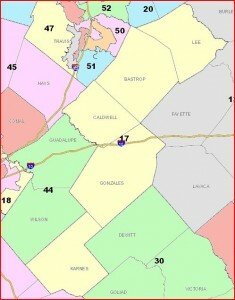 – If your eyes bugged out at Dianne Williams’ totals in HD149, I assure you that mine did as well. A closer look at her detailed report shows that nearly $115K of her total came from one person, a Mrs. Kathaleen Wall. Another $5K or so was in kind from various Republican PACs. Take all that out and her haul is much less impressive. The money is hers to spend, of course, it’s just not indicative of some broad-based support. That’s all I’ve got. Anything interesting you’ve seen in the reports? 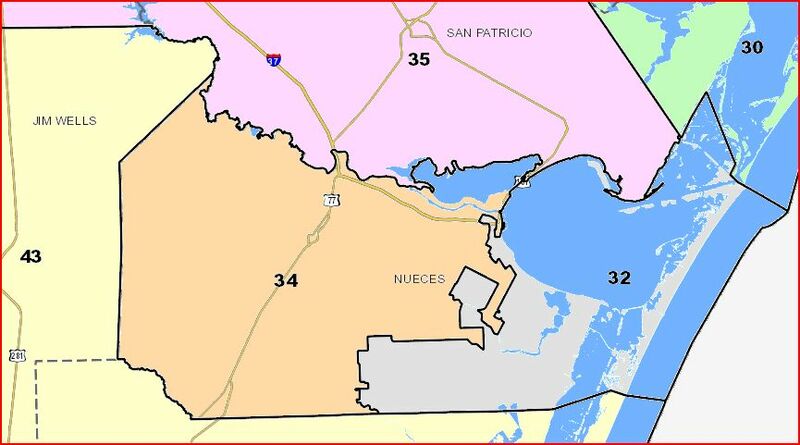 The list of nine includes five former House members — Abel Herrero (HD 34), Yvonne Gonzales Toureilles (HD 43), Carol Kent (HD 114), Robert Miklos (HD 107), and Joe Moody (HD 78); and four new candidates — Phil Cortez (HD 117), Ann Johnson (HD 134), Mary Ann Perez (HD 144), and Rosemary Robbins (HD 105). The organization also announced that two of their major donors have pledged to match up to $75,000 in contributions to kick off the “Back to Blue” effort. 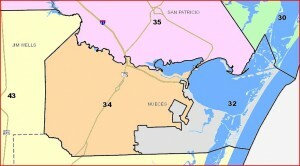 “The HDCC has a proven track record of helping Democratic House candidates win,” said state Representative and HDCC Board Member Jessica Farrar, “Our mission is to turn Texas House seats blue and with these candidates on our team in 2012, we will be successful. “Thanks to our generous contributors, we have an incredible opportunity to double down and raise the money needed to win these seats,” continued Farrar. In addition to organizational assistance, staff support, and message training, candidates targeted by the HDCC will receive financial support. 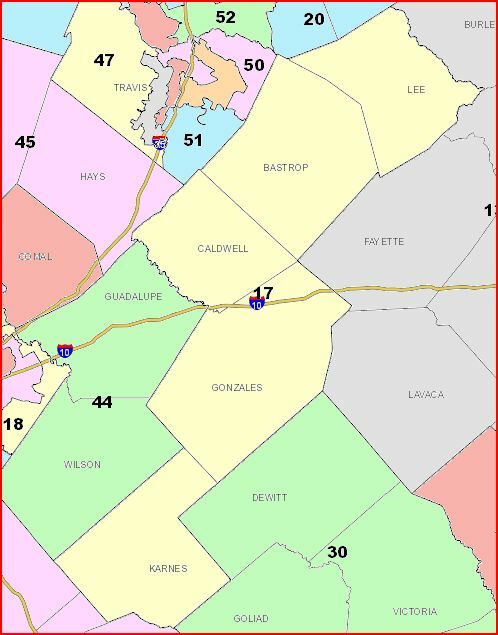 Electoral data can be found here; look in the RED206 for the relevant information. The “others of interest” are my own selections. 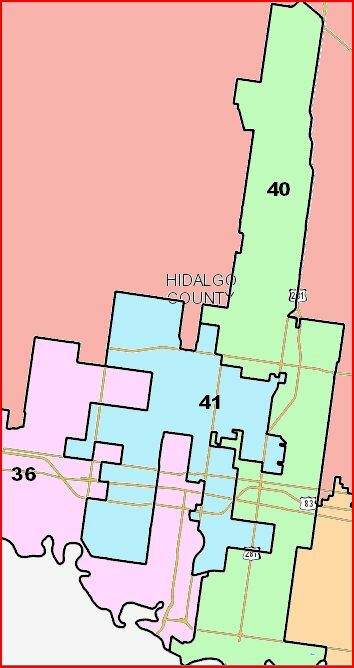 The two starred seats are open D seats; HD41 was Veronica Gonzales and HD74 was Pete Gallego. Democrats are going to pick up three seats by default: HDs 35, 40, and 101. 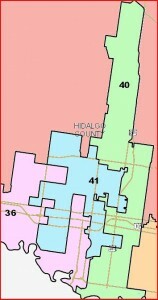 The former two were left open by Reps. Aliseda and Pena, the latter is a new district in Tarrant County. Strictly by the numbers, I’d classify HDs 34 and 78 are Democratic Favored; HD117 as Lean Democratic; HDs 43 and 144 as Tossup; HDs 105 and 107 as Lean Republican; and HDs 114 and 134 as Republican Favored. There are plenty of other factors to consider – candidate quality, fundraising, demographic change since 2008, etc – but let’s stick with just the numbers for now. 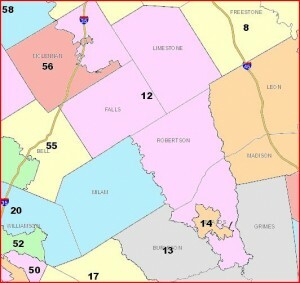 Let’s be optimistic and say Dems can pick up seven of these nine top tier seats and not lose any they currently hold; honestly, only Eiland would seem to be in real danger. That’s a ten-seat net, which with Lozano’s switch gets them to 57. Better, but still a long way to go. The map for 2012 is unlikely to expand beyond the indicated second tier, as not all of the “other districts” I’ve identified have Dems running in them. Certainly it’s possible for things to go better for the Dems, but worse is also in play. You could imagine a true disaster in which they get nothing but the three gimmes and lose Eiland along the way for a net +2 and only 49 seats, or one more than they had in 2011. I don’t think that’s likely, but it’s not out of the question. 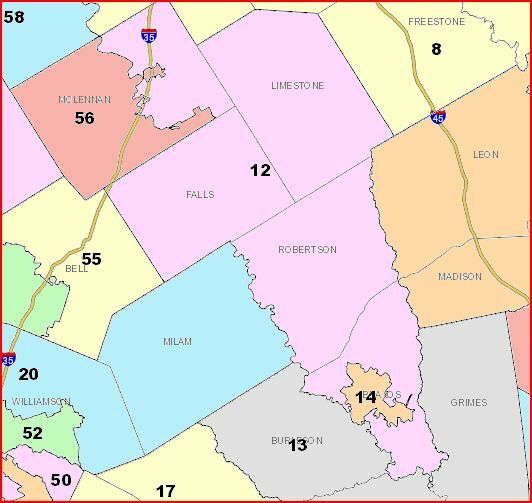 The long-awaited ruling from the DC Court will almost certainly trigger a new map from the San Antonio court, and for all we know the Lege may take another crack at drawing a map. The original San Antonio Court interim map made a 60-member Dem caucus likely, with friendlier Dallas districts, a Dem-favored HD54, and a tossup HD26 in Fort Bend among the differences. All I can say at this point is that I don’t believe we should get too accustomed to this interim map. So that’s the state of play for this cycle. Go look at the candidates, pick a few favorites, and give to them or give to the HDCC. Change isn’t going to happen without your help.